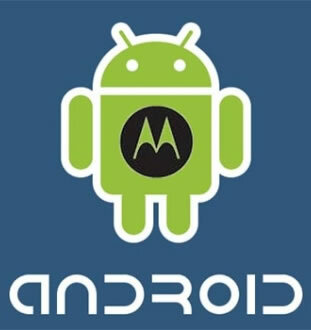 Motorola hasn't been particularly active in the smartphone space since being acquired by Google in mid-2011 (completed last May) and considering most onlookers believe the purchase was made purely to expand the search giant's patent portfolio, many have questioned the handset maker's fate. Motorola design chief Jim Wicks helped clarify the company's near term plans in a recent chat with PC Mag -- plans that include new products as well as a fresh design philosophy and business strategy to boot. Wicks noted that the folks at his company aren't aboard the "bigger is better" bandwagon, referring to the seemingly unspoken challenge between handset makers to produce devices that blur the line between smartphones and tablets -- see the new Samsung Galaxy Megas. "Better is better," he said, and that's precisely what Motorola hopes to deliver with its new offerings. Wicks said that the company has spent eight months working on next-generation phones and so far it has seen positive feedback. The new devices will reportedly have more input from Google than the Razr products released in late 2012 and they should begin to appear toward the second half of this year. Hardware details are naturally sparse at the moment, but Wicks said folks who prefer smaller handsets should be pleased -- though they won't necessarily have to sacrifice screen real estate. While Motorola is aiming to keep things relatively compact, it's also using extra trim display bezels to cram in as many pixels as possible. Along with keeping things lean hardware-wise, the company wants to ship its new devices with Android and only Android, shunning the bloatware that plagues many of today's handsets. "People don't want all that stuff pre-populated on their devices," Wicks said. "They really want to define these things themselves. We're focusing on simplicity and the power of the consumer." It's worth noting that we say the company wants to ship sans bloatware, but PC Mag suggests that could cause friction with carriers and losing out on launch arrangements would hinder Motorola's new approach to monetization: mass cross-provider availability. Instead of selling many different products exclusively through many different carriers, Motorola has set out to focus on delivering a few key products across the board. "We are going to try to drive a more singular expression of our brand across multiple carriers," Wicks said. "It's a fundamental change in the model."